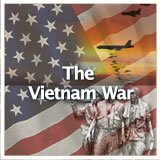 Students examine ways in which defense spending affected the Cold War economy. Next, students study the GATT Treaty of 1947, which greatly stimulated world economic growth. 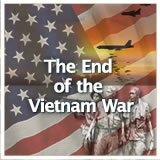 Students examine the issue of balancing military and civilian spending by pondering President Dwight D. Eisenhower’s 1961 farewell address, which warned of the increasing dominance of the military-industrial complex. Finally, they examine differing points of view by identifying and analyzing two recent articles that take opposite sides on the issue. 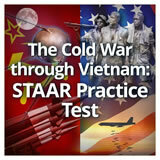 In this experience, students examine ways in which defense spending affected the Cold War economy. Next, students study the GATT Treaty of 1947, which greatly stimulated world economic growth. 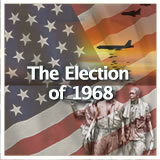 Students examine the issue of balancing military and civilian spending by pondering President Dwight D. Eisenhower’s 1961 farewell address, which warned of the increasing dominance of the military-industrial complex. Finally, they examine differing points of view by identifying and analyzing two recent articles that take opposite sides on the issue. 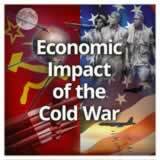 Describe the economic impact of Cold War defense spending on American industries. Explain the purpose of the General Agreement on Tariffs and Trade (GATT). After World War II ended, the United States entered a postwar economic boom—a period of sustained economic growth—that lasted a generation, from approximately 1950 to 1973. 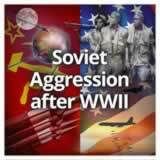 That same period overlapped the most militarily tense decades of the Cold War. 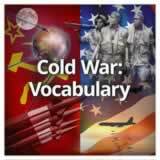 What effect did the Cold War have on the economy? In this experience, you’ll find out. Huge military projects such as the development of nuclear-powered submarines cost the U.S. government billions of dollars during the Cold War. Economists have been divided—both at the time and ever since—on whether such spending hurts the economy or helps it. How much do you think that it cost to build the U.S.S. Nautilus, the nuclear-powered submarine shown above? The U.S.S. Nautilus cost approximately $29,000,000 in 1951. The submarine was named after the vessel in Jules Verne’s Twenty Thousand Leagues Under the Sea. If you have any students who are fans of this classic science fiction novel, encourage them to research the U.S.S. Nautilus and compare and contrast it to Verne’s fictional creation. 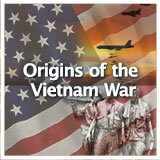 How do you think military expenditures might hurt an economy? How might they help it? To get your thought processes started, write your prediction. In this experience, you’ll have plenty of chances to think about these questions. 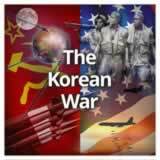 Military spending creates national wealth by forcing increased production, which leads to greater employment, greater consumer spending by workers, greater production of consumer goods and services, and greater investment. Without national security spending, peace would be threatened, and therefore so would the civilian economy and society. 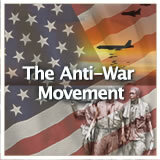 Military spending creates a larger military instead of promoting peaceful solutions to problems.